Steven (Chicagoland, United States) on 18 November 2009 in Sport & Recreation and Portfolio. 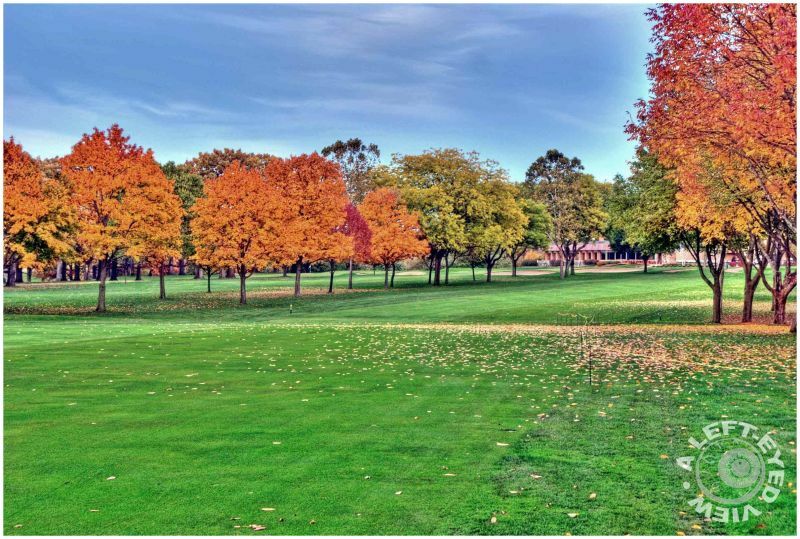 View from the first hole fairway looking back toward the clubhouse of the Glen Flora Country Club in Waukegan, Illinois. The hole on the other side of the colorful trees is the 18th hole, a short par 3 hole that lands you in front of the long stretch of picture windows where everyone gasped at that easy putt you just missed for a birdie. Photo taken October 21, 2009. Bonjour Steven, yet of beautiful color and full of charm, bravo! Autumn colours as they should be, aren't they! You are gonna' make me take up golf. beautiful Steven -- this is wonderful! Bonsoir Steve. Ton cliché photographique est magnifique. Très bon cadrage. Je te souhaite de passer une très bonne soirée. Amicalement Antoine. Lovely processing of the autumnal trees. Is the rope fence out of bounds? @Philip: It's not out of bounds, but just where they didn't want golf carts traveling because the grounds were quite soaked from recent rains. Thanks for stopping by! Outstanding fall colors. For me, there is no such thing as an easy putt. My problem on the first hole is always muffing the ball and enduring the laughter when I walk twenty feet for my next shot!